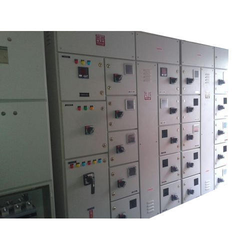 Being a trustworthy manufacturer, we are involved in offering a comprehensive range of Distribution Board. Our offered product is well known for its shock proof nature and optimum quality. 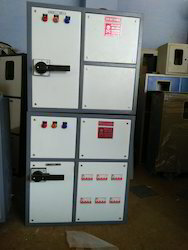 We have complete allegiance in developing highly demanded Distribution Board. 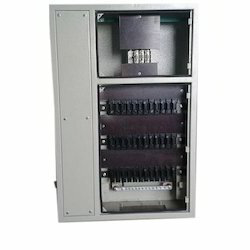 Power Consumption: The active and apparent power consumption, in each voltage circuit, at the reference voltage, reference temperature and reference frequency shall not exceed 5 W and 20 VA. The apparent power taken by each current circuit, at basic current, reference frequency and reference temperature shall not exceed 1.0 VA.
Design: Meter shall be designed with application-specific integrated circuit (ASIC) or microcontroller; shall have no moving part; electronic components shall be assembled on printed circuit board using surface mounting technology; factory calibration using high accuracy (0.05 class) software based test bench. Assembly of electronic components shall be as per ANSI /IPCA-610 standard.